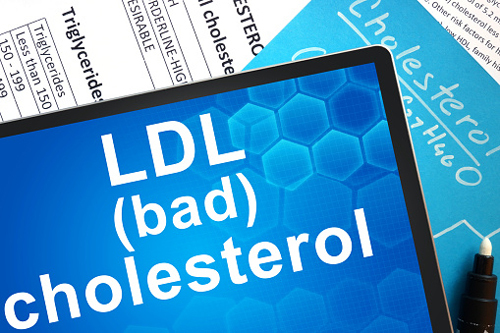 High cholesterol, or hypercholesterolemia, is one of the most common conditions in the U.S. In fact, 73.5 million American adults experience high low-density lipoprotein (LDL) cholesterol, also known as the “bad” cholesterol. High cholesterol is also associated with symptoms such as difficulty breathing after minor exertion, dizziness, circulatory problems, and mental dullness or confusion. What if a vaccination could help prevent or treat high cholesterol? According to a new study published in the journal Vaccine, researchers from the University of New Mexico and the National Institutes of Health in the U.S. have found that a newly developed cholesterol-reducing vaccine can reduce LDL cholesterol, in macaques and mice. The researchers believe that the new vaccine can potentially be more effective than statin treatments alone. Cholesterol is an important substance in the body. It is necessary for the production of vitamin D, certain hormones, and particular molecules that assist with food digestion. Cholesterol is also found in foods like eggs. LDL cholesterol is a fat-like substance that circulates in the blood. If there is excessive cholesterol, the arteries can become blocked, which can lead to stroke and heart disease. Exercise and diet are the best approaches for controlling cholesterol; however, millions of people take statins for cholesterol reduction and preventing cardiovascular disease, especially atherosclerosis-related events like heart attacks or strokes. The downside is that statins are associated with various harsh side effects, including an increased risk of diabetes, cataracts, liver or pancreas dysfunction, anemia, muscle pain, memory loss, and impaired immunity. The researchers suggest that the new vaccine cholesterol-lowering vaccine could be an alternative to statins. The vaccine will target a protein called PCSK9 that is thought to balance cholesterol levels in the blood. For the study, a single vaccine dramatically lowered cholesterol levels in macaques and mice. This suggests that the results may be duplicated in humans. The PCSK9 protein will encourage the body to break down receptors that cholesterol uses as a binding agent when the body flushes out cholesterol. Some people suffer from a mutation in PCSK9, and as a result they have a greater risk of heart disease. On the other hand, those who do not produce PCSK9 experience a reduced risk of heart problems. Since the vaccine will target the protein, it lowers the cholesterol in the blood by preventing the function of the protein. “One of the most exciting things about this new vaccine is it seems to be much more effective than statins alone,” explained study author Dr. Bryce Chackerian from the University of New Mexico. In the study, researchers first tested the cholesterol reduction vaccine in mice, which resulted in lower levels of LDL cholesterol. Later, the research team assessed the effectiveness of the vaccine in conjunction with statins in a small group of macaques. The results also produced a significantly noticeable reduction in cholesterol. “The results of our vaccine were very striking, and suggest it could be a powerful new treatment for high cholesterol,” added study author Dr. Alan Remaley from the National Heart, Lung, and Blood Institute, National Institutes of Health. High cholesterol treatments that target the PCSK9 protein have been in development by various drug companies. In particular, Evolocumab and Alirocumab have produced positive results, and the Food and Drug Administration (FDA) have recently approved them. One negative is that treatments for the new drugs will costs around $10,000 each year. The new vaccine is considered more effective than the drug treatment, and is far less expensive as well. The next step for the research team is to continue studying the vaccine in macaques. They also intend to find a commercial investor to move forward with the new technology. Crossey, E., et al., “A cholesterol-lowering VLP vaccine that targets PCSK9,” Vaccine, 2015; 33(43): 5747, doi: 10.1016/j.vaccine.2015.09.044. “New vaccine could prevent high cholesterol,” ScienceDaily web site, November 10, 2015; http://www.sciencedaily.com/releases/2015/11/151110083034.htm. Balch, J., et al., Prescription for Natural Cures: A Self-Care Guide for Treating Health Problems with Natural Remedies Including Diet, Nutrition, Supplements, and Other Holistic Methods (Hoboken: John Wiley & Sons, Inc., 2004), 154-155.